Rolling up your sleeves and digging into household chores is much easier when you have the right arsenal of cleaning tools on-hand. If your vacuum is broken and you don’t have any disinfecting wipes, you’re already off to a bad start. But there’s one effective cleaning solution that you may not be utilizing to its full potential — steam cleaning. Most homeowners know that steam cleaning a carpet can restore the item to its original glory, even with tough stains. But steam cleaners have tons of other applications for windows, bathrooms and kitchens. * Sinks, tubs, faucets. 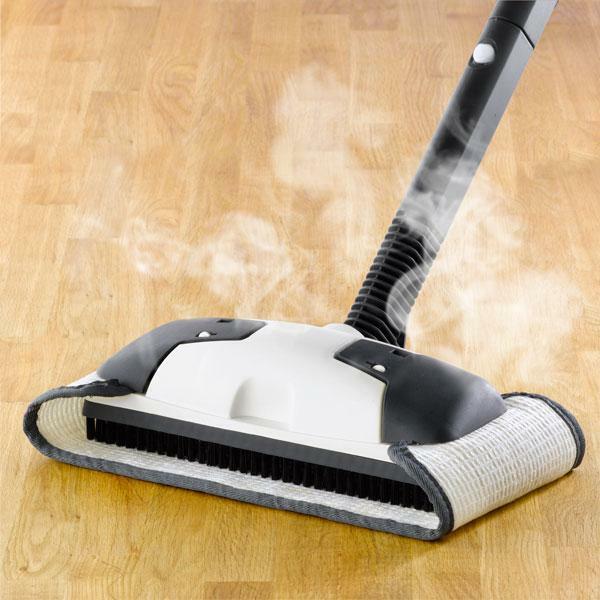 Steam cleaners have small nozzles and brushes that send a concentrated blast of steam to loosen build-up. It’s ideal for faucets, drains, shower doors and tubs. * Toilets. The whole bathroom can probably benefit from a deep steam-cleaning. Once steam loosens grime around toilet seats, the residue can be easily removed with a cloth. * Tile floors and grout. Even nice tile can look dingy when grout is stained or starts to mildew. Use a steam cleaner to wash out the trim and grout around ceramic tiles, and then scrub them clean. * Refrigerators, freezers and microwaves. Sticky spills and splatters of grease can be as tough to clean as soap scum, so use the same tool. Steam cleaners sterilize all surfaces without harsh chemicals, plus they can loosen build-up on shelves and drawers.